English musical composer, was probably a member of one of the numerous Lincolnshire families of the name who were to be found at Lincoln, Spalding, Pinchbeck, Moulton and Epworth in the 16th century. According to Wood, he was "bred up to musick under Thomas Tallis." He was appointed organist of Lincoln Cathedral about 1563, and on the 14th of September 1568 was married at St. Margaret in the Close to Ellen or Julian Birley. On the 22nd of February 1569 he was sworn in as a member of the Chapel Royal, but he does not seem to have left Lincoln immediately. In the Chapel Royal he shared with Tallis the honorary post of organist, and on the 22nd of January 1575 the two composers obtained a license for twenty-one years from Queen Elizabeth I to print music and music-paper, a monopoly which does not seem to have been at all remunerative. In 1575 Byrd and Tallis published a collection of Latin motets for five and six voices, printed by Thomas Vautrollier. In 1578 Byrd and his family were living at Harlington, Middlesex. As early as 1581 his name occurs among lists of recusants, and though he retained his post in the Chapel Royal he was throughout his life a Catholic. About 1579 he set a three-part song in Thomas Legge's Latin play Ricardus Tertius. In 1588 he published Psalmes, Sonets and Songs of Sadnes and Pietie, and in the same year contributed two madrigals to Nicolas Yonge's Musica Transalpina. In 1589 appeared Songs of Sundrie Natures, a second edition of which was issued in 1610. In the same year he published Liber Primus Sacrarurn Cantionum, a second series of which was brought out in 1591. 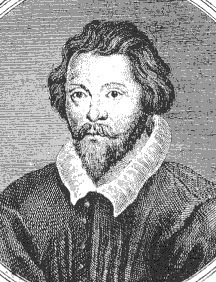 In 1590 two madrigals by Byrd were included in Thomas Watson's First Sett of Italian Madrigalls Englished; one of these seems to have been sung before Queen Elizabeth on her visit to Lord Hertford at Elvetham in 1591. In April 1592 Byrd was still living at Harlington, but about 1593 he became possessed of the remainder of a lease of Stondon Place, Essex, a farm of some 200 acres, belonging to William Shelley, who was shortly afterwards convicted of high treason. The property was sequestrated, and on the 15th of July 1595 Byrd obtained a crown lease of it for the lives of his eldest son Christopher and his daughters Elizabeth and Rachel. On the death of Shelley his son bought back his estates (in 1604), whereupon his widow attempted to oust Byrd from Stondon Place, on the ground that it formed part of her jointure. Byrd was upheld in. his possession of the property by King James I. (Calendar of State Papers, Dom. Series, James I add, series, vol. xxxvi), but Mrs. Shelley persevered in her suit, apparently until her death in 1609. In the following year the matter was settled for a time by Byrd's buying Stondon Place in the names of John and Thomas Petre, part of the property being charged with a payment to Byrd of £20 for his life, with remainder to his second son Thomas. Throughout this long suit Byrd, though in possession of property which had been confiscated from a recusant and actually taking part as a member of the Chapel Royal at the coronation of James I, had been excommunicated since 1598, while from 1605 until 1612, and possibly later, he was regularly presented before the archidiaconal court of Essex as a Catholic. In 1603 Easte published a work (no copies of which are known to exist) entitled Medulla Musicke. Sucked out of the sappe of two [of] the most famous Musitians that ever were in this land, namely Master Wylliam Byrd... and Master Alphonso Ferabosco... either of whom having made 40tie severall waies (without contention), showing most rare and intricate skill in 2 partes in one upon the playne song Miserere. In 1607 appeared two books of Gradualia, a second edition of which was issued in 1610. In the following year he published Psalmes, Songs and Sonnets; some solemne, others joyfull, framed to the life of the Words. Probably in the same year was issued Parthenia, a collection of virginal music, in which Byrd was associated with John Bull and Orlando Gibbons. The last work to which he contributed was Sir Thomas Leighton's Teares or Lamentations of a Sorrowfull Soule (1614). His death took place on the 4th of July 1623. It is recorded in the Cheque Book of the Chapel Royal as that of a "father of musicke." His will, dated the 15th of November 1622, shows that he remained a Catholic until the end of his life, and he expresses a desire that he may die at Stondon and be buried near his wife. From the same document it seemsthat his latter years had been embittered by a dispute with his eldest son, but that the matter was settled by an agreement with his daughter-in-law Catherine, to whom he left his property at Stondon, charged with the payment of £20 to his second son Thomas and £10 to his daughter Rachel, with remainder to his grandson Thomas and his second son of the same name. In 1635 the estate again came before the court of chancery, on the ground that the annuities had not been paid. The property seems about 1637 to have been let to one John Leigh, and in 1651 was held by a member of the Petre family. The committee for compounding with delinquents at that date allowed Thomas Byrd the annuity of £20 bequeathed by his father. Byrd's arms, as entered in the Visitation of Essex of 1634 ex sigillo were three stags' heads cabossed, a canton ermine. His children were (1) Christopher, who married Catherine, daughter of Thomas Moore of Bamborough, and had a son, Thomas, living at Stondon in 1634; (2) Thomas; (3) Elizabeth, who married successively John Jackson and Burdett; (4) Rachel, married (first) Hook, by whom she had two children, William and Catherine, married to Michael Walton; in 1634 Rachel Hook had married (second) Edward Biggs; (5) Mary, married (first) Henry Hawksworth, by whom she had four sons, William, Henry, George and John; (second) Thomas Falconbridge. Anne Byrd, who is mentioned in the proceedings Shelley v. Byrd (Exchequer Decrees, 7 James I, series ii. vol. vii. fol. 294 and 328), was probably a fourth daughter who died young. Besides the works already mentioned Byrd was the composer of three masses, for three, four and five voices respectively, which seem to have been published with some privacy about 1588. There exists a second edition (also undated) of the four-part mass; all three have recently appeared in modern editions, and increase Byrd's claim to rank as the greatest English composer of his age. In addition to his published works, a large amount still remains in manuscript, comprising nearly every kind of composition. The Fitzwilliam Virginal Book contains a long series of interesting pieces for the virginal, and more still remains unpublished in Lady Neville's Virginal Book and other contemporary collections. His industry was enormous, and though his work is unequal and the licences he allowed can hardly be defended on strict grounds, his Latin church music and his instrumental compositions entitle him to high rank among his contemporaries. As a madrigalis the was inferior to Thomas Morley, Wilbye and Gibbons, though even in this branch of his art he often displays great charm and individuality.